For Motocross, JDay Offroad, Harescramble, Trials, Hillclimb, Supermoto, and Street applications Motoworx utilizes Race Tech Gold Valves, which are custom valving kits. Gold Valves are designed to break through the limitations of stock piston designs, which research has shown to induce harshness. Gold Valves are designed to reduce piston restriction and allow the valving stack to be personally tailored to the individual rider. This custom valving allows for increased bottoming resistance with dramatically reduced harshness and improved traction. Where applicable we also use Race Tech Rebound Gold Valves, because many rebound valving systems are grossly inadequate. No matter what modifications are attempted, the forks will never perform with precision and control. These Kits offer the advantage of both adjustable Mid-Valve and Rebound. These kits are available for most Dual Chamber Showa, KYB and WP Forks. For Motocross, Offroad, Trial, Hillclimb, Supermoto, and Street applications Motoworx utilizes Race Tech G3-LD Gold Valves. This is a newly designed Shock Gold Valve Kit for the 46mm KYB and 50mm KYB, Showa and WP shocks which provide better control for the rider. The piston design creates more shim leverage and decreases the angular shim deflection providing for a more consistent damping and faster lap times! 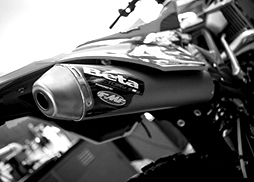 As a WP Authorized Center, Race Tech can provide you with WP’s premium line of A-Kit suspension with a personalized setup guaranteed to exceed your highest expectations. Used by many top pros WP’s Cone Valve Forks and Trax Shock are a factory level setup from Race Tech and available through Motoworx. Fork Rebuilds – $110.00* – Includes disassembly clean, inspect and replace warn or damaged parts, polish tubes, bleed system, and set oil height. This is a recommended service at 45 hours. Shock Rebuild – $110.00* – Includes disassembly clean, inspect and replace any worn or damaged parts, new oil, and set nitrogen pressure. This is a recommended service at 45 hours. 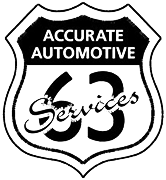 Fork Service/ Fluid Change – $55.00* – Includes disassembly, clean, inspect parts, new oil bleed system, and set oil height. This is a recommended service at 25 hours. Shock Service/ Fluid Change – $55.00* – Includes Disassembly clean, inspect parts, new oil, and set nitrogen pressure. This is a recommended service at 25 hours. Porting and Headwork – $350.00* – the process of modifying the intake and exhaust ports of an engine to improve flow for max efficiency and machining combustion chamber to match. Precision hone cylinder and chamfer all ports. Chamfering makes sure the edges are smooth, preventing piston failure. Package comes with tailored spec sheet. High Flow Carb – $95.00* – this is designed to flow a larger volume of air and fuel while minimizing turbulence in the air intake. Provides increased responsiveness and a harder pulling engine. Custom Race Spec Engines – Call for options and pricing – Supermini, big bore, and stroker kits available. 5 Angle Radius Valve Job with Porting – $575.00 – Porting to increase flow and velocity for max efficiency, from flow bench data, and modified combustion chamber to match. Includes high performance 5 angle radius valve job for max flow. Valve to seat concentricity less than .001″. Package comes with tailored spec sheet. 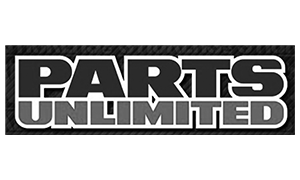 Custom Race Spec Engines – Call for options and pricing – Big bore, and stroker kits available. 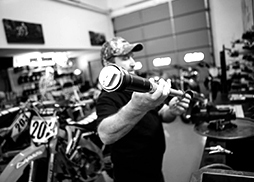 Motoworx offers a complete line of aftermarket performance parts and accessories to compliment your engine services, repairs, and modifications. Call for options and pricing. 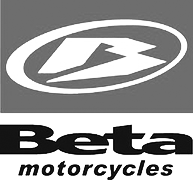 We are teamed up with Beta USA as an authorized dealer of all of Enduro and Trials models. This lineup includes both two and four stroke, standard RR models, Race Editions and the entire Mini trial lineup, X-Trainer, and EVO bikes. We typically have Race Editions and X-Trainers available for demo at our Hatfield location or through our off road race team. Call for options, availability, and pricing.